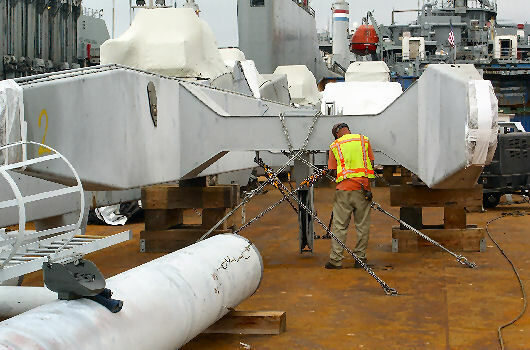 For the transport of 3 disassembled Hägglunds ship cranes by barge from Alameda, CA to Houma, LA, in August 2009, Argonautics Marine Engineering, Inc. was hired to assist with and survey the stowage and lashings. 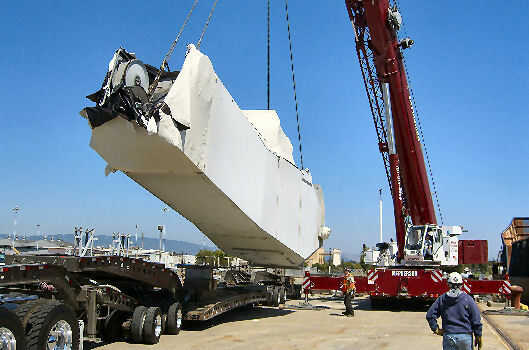 All crane pieces were moved from a storage space close by, using various trailers. 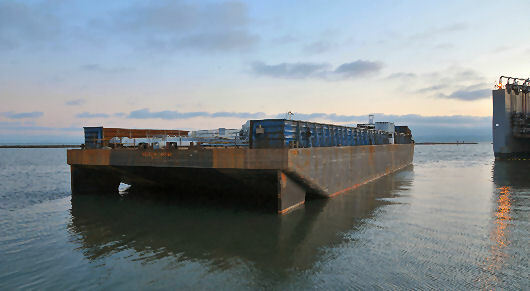 The biggest pieces weighed about 130,000 lbs. 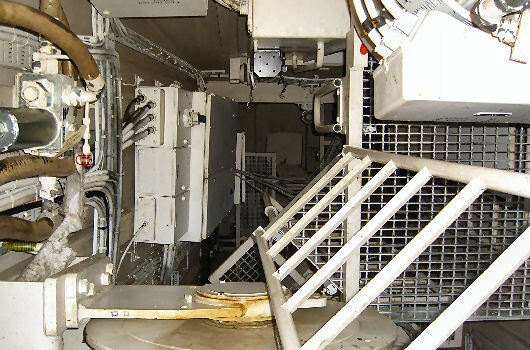 The pieces were lifted onto the cargo barge WESTERN CARRIER and stowed on wooden cribbing blocks and lashed down to D-rings on the barge deck, using 4 inch chains and turnbuckles. Steel stoppers were welded around the larger pieces. Survey the lashing upon completion.